This year’s Washington Auto Show, currently taking place at the Walter E. Washington Convention Center in Washington, D.C., features some of the latest technological innovations driving the auto industry into new frontiers, including connected and autonomous vehicles. But what many consumers don’t know about are the vast amounts of data these vehicles collect – or with whom vehicle manufacturers share this data. Your Car. Your Data. Your Choice., an education and advocacy initiative created to engage car owners, policymakers and other stakeholders on car data, brought together automotive, security and privacy experts, policymakers and consumer advocates for an engaging discussion on, “How the Connected Car Impacts Consumer Choice.” Each year, vehicles get “smarter” and infused with telematic technologies that enable real-time, wireless transmission of information related to driving behavior, vehicle health, GPS location, and maintenance and repair data. 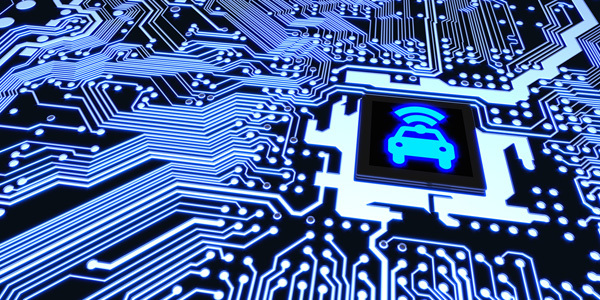 However, as this technology advances, vehicle manufacturers are gaining exclusive access to, and control of, vehicle data at the expense of consumers. The discussion, hosted at the Marriott Marquis in downtown Washington, D.C., during the policy and media days of the Washington Auto Show, featured expert panelists Sally Greenberg, executive director of the National Consumers League; Joseph (Joe) Jerome, policy counsel for the Privacy & Data Project at the Center for Democracy & Technology; and Greg Potter, chief technology officer at the Equipment and Tool Institute. Jeff Plungis, lead automotive investigative reporter at Consumer Reports, guided the 60-minute conversation and Q&A session through a variety of topics related to vehicle data, including consumer rights, data privacy, and potential federal and state policy proposals. “So much of the debate around privacy right now is framed around the lens of Facebook and Google, and I understand that, but cars are a real manifestation of how the privacy rubber meets the road,” said Plungis. Much of the dialogue focused on what drivers know about vehicle data, what data vehicles collect, and why consumer access to and control of their vehicle data is vital. The panel discussion also provided an opportunity to premiere The Driver Bill of Rights –a list of drivers’ inherent rights regarding the data their vehicles collect, such as the right to transparency about the data; the right to choose what data is collected; and the right to share repair and maintenance data. As far as the path forward, panelists discussed policy proposals at the federal and state level related to consumer data privacy, and cited the recently passed California Consumer Privacy Act and the European Union’s General Data Protection Regulation (GDPR) as examples. To view a recording of the panel discussion, click here.